Under the new bill, Pakistan is not required to take any action against Haqqani Network or the Lashkar-e-Taiba (LeT), and will also not get any reimbursement for its counter-terrorist activities in the country. Troubles seem to be mounting for Pakistan as the US has decided to cut its financial aid by over 75 per cent to $150 million from $1 billion. Amid Pakistan's poor economic conditions, the US decision could deeply hurt its shaking economy. Under the defence spending bill passed by the US Senate, the US could cut aid to Pakistan as the country is no longer required to take actions against terrorist groups inside the country. Pakistan's total public debt stands at $199 billion, of which $134 billion is domestic debt while the rest is external liabilities. The National Defence Authorisation Act, 2019, states that Pakistan is not required to take any action against Haqqani Network or the Lashkar-e-Taiba (LeT). Pakistan will also not get any reimbursement for its counter-terrorist activities in the country. The bill was passed by 87 to 10 votes in the US Senate, following which it now awaits US President Donald Trump's approval. "The legislation reduces the total amount of funds provided for reimbursement to Pakistan to $150 million. This is a significant reduction from the $700 million that was authorised through Coalition Support Fund (CSF) last year," Anish Goel, who was part of Barack Obama's White House National Security Council, said. The Pentagon no longer had any tools to put pressure on Pakistan to undertake counter-terrorism activities or action against the Haqqani Network, said Goel, who till recently was a senior staffer in the Senate Armed Services Committee. The previous Obama administration used to disburse $1.2 billion per year to Pakistan under the Enhanced Partnership with Pakistan Act of 2009, also known as the Kerry-Lugar-Berman Act, but Trump has taken a tough stance against Pakistan's inability to handle terrorism activities on its soil. Before this, the US had cut $1.5 billion worth of aid to Pakistan in January over its closeness to China and its failure to act against terrorist groups like the Afghan Taliban and the Haqqani Network. 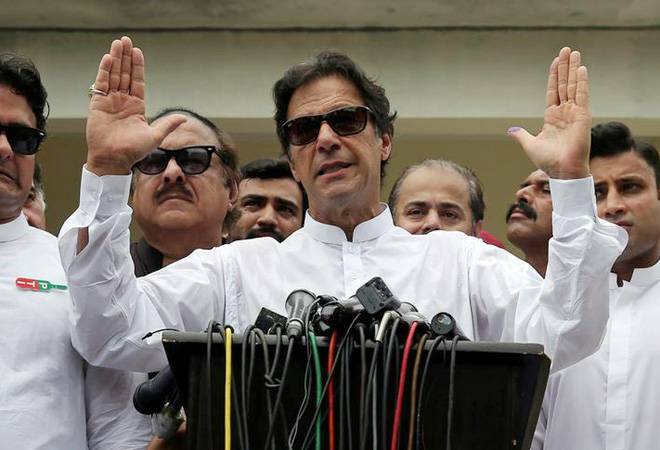 As Pakistan's PM-elect Imran Khan is about to take oath on August 11, the country is reportedly drawing up a plan to seek a massive $12 billion bailout package from the IMF, a move that has been strongly opposed by the US. US Secretary of State Mike Pompeo had last week cautioned the IMF against a possible fresh bailout for Pakistan's new government to pay off Chinese lenders who have invested in the strategic China-Pakistan Economic Corridor (CPEC). Both Islamabad and Beijing have worked together on this "flagship" project under the ambitious Belt and Road initiative to build railway projects, roads and maritime links. Over 20 CPEC projects worth over $27 billion are currently being implemented all across Pakistan. In the name of CPEC, China has been consistently helping Pakistan with financial loans. But Pakistan has no concrete plan to pay them back. The country needs around $3 billion of immediate funds to avoid default on loans from the IMF, China and the World Bank. Its ever-expanding trade deficit and declining foreign reserves leave no option for the new government but to knock on the IMF's door. The US, which is the highest contributor of funds to the IMF, has warned the global fund body, saying it should "think twice". Joshua White, who was also a part of Obama's White House National Security Council team and worked on Pakistan, said: "It makes Pakistan ineligible for Coalition Support Funds (CSF), but adds Pakistan to a list of countries that can receive a related form of assistance designed to help partner nations bolster border security. This legislation is a mixed blessing for Pakistan." Imran Khan, whose party won 115 of the 270 National Assembly seats, gained victory in the recent National Assembly polls on the promises of ending corruption and bringing economic stability.